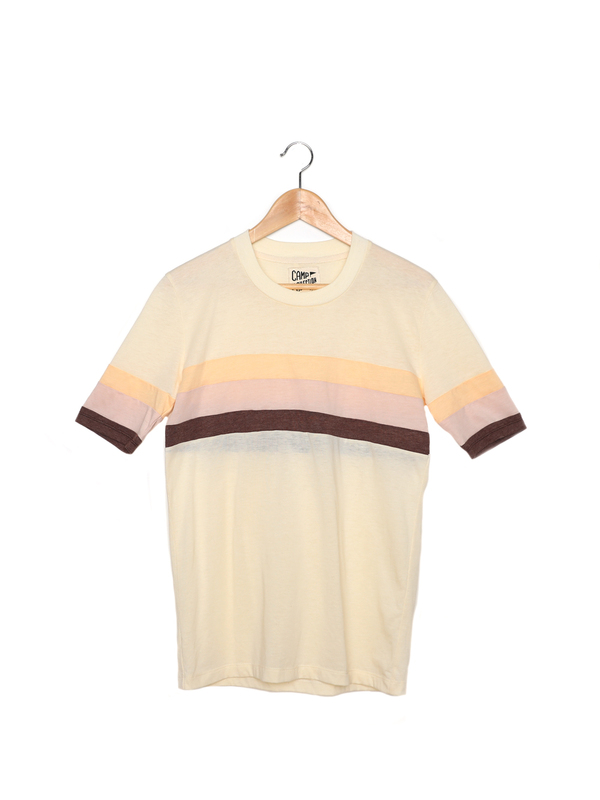 The colors of this tee remind us of neapolitan ice cream. Hence the name. 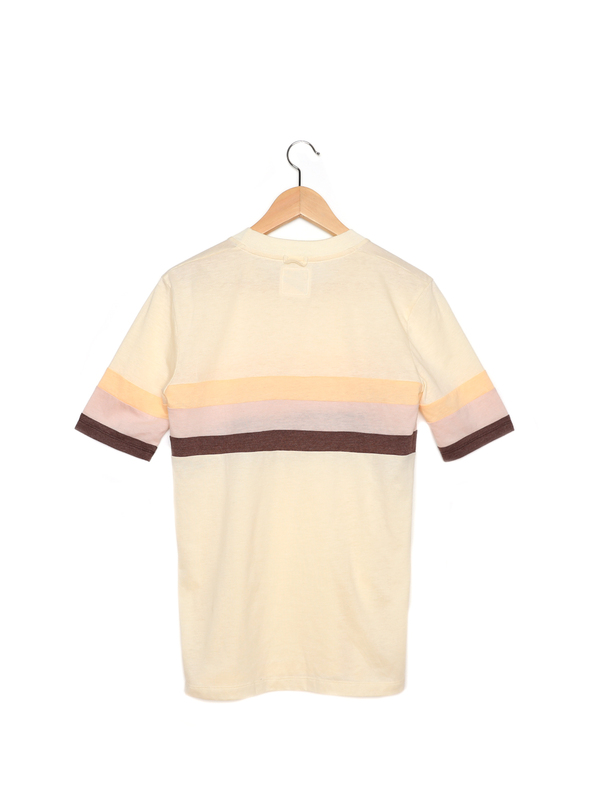 Short sleeve crew neck tee with contrast color panels across chest and sleeves. Locker loop at back neck.